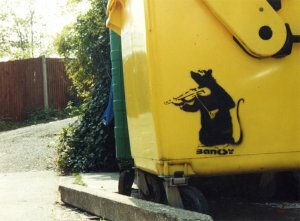 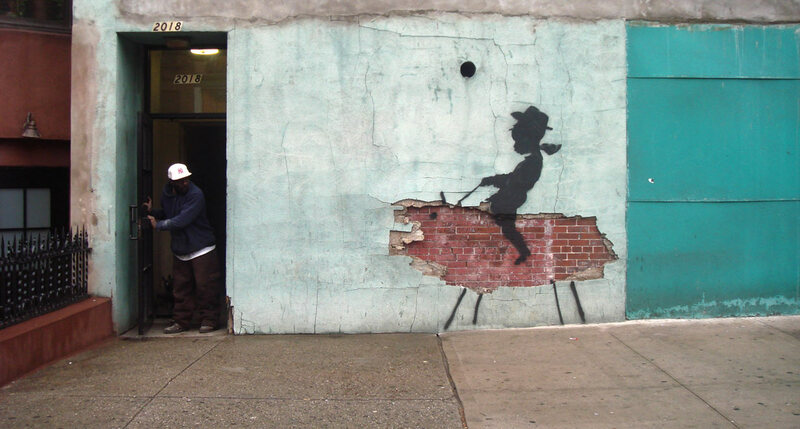 We haven’t had graffiti here for a while, especially from such acknowledged masters like Robert Banksy. 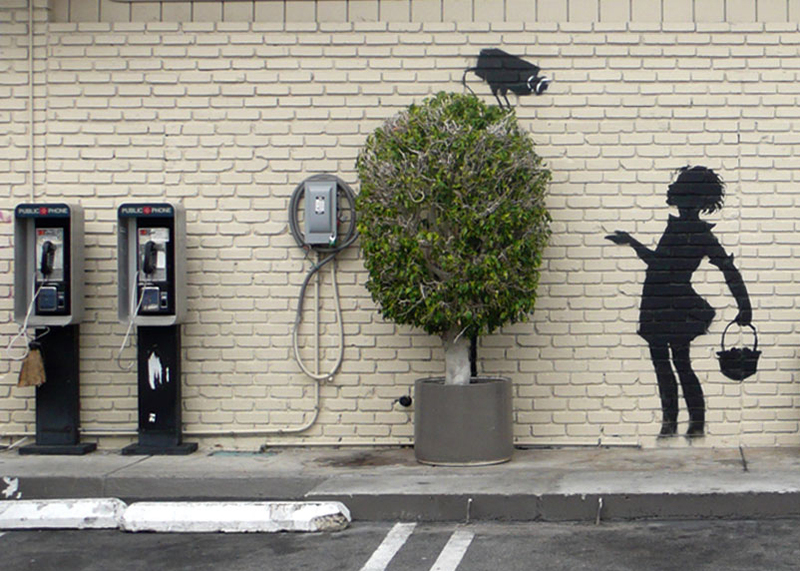 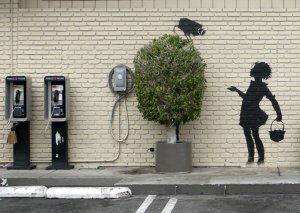 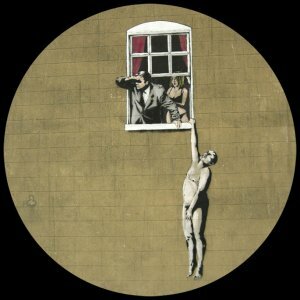 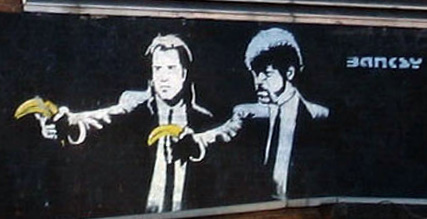 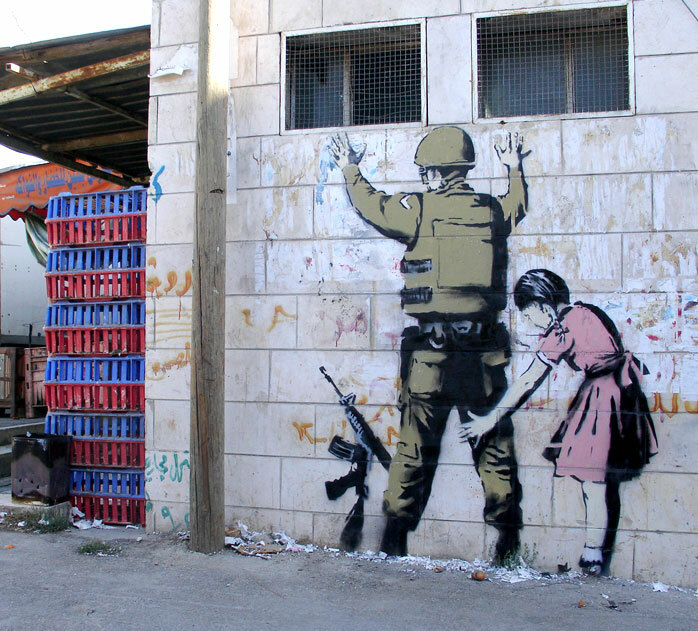 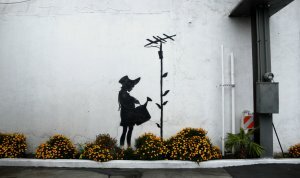 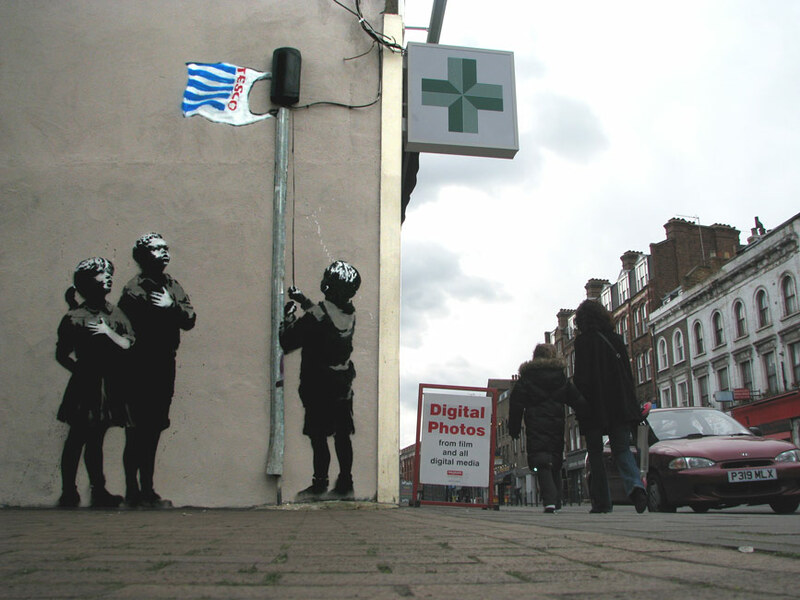 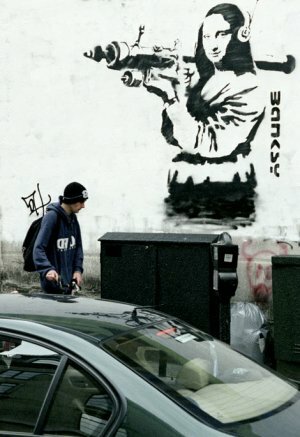 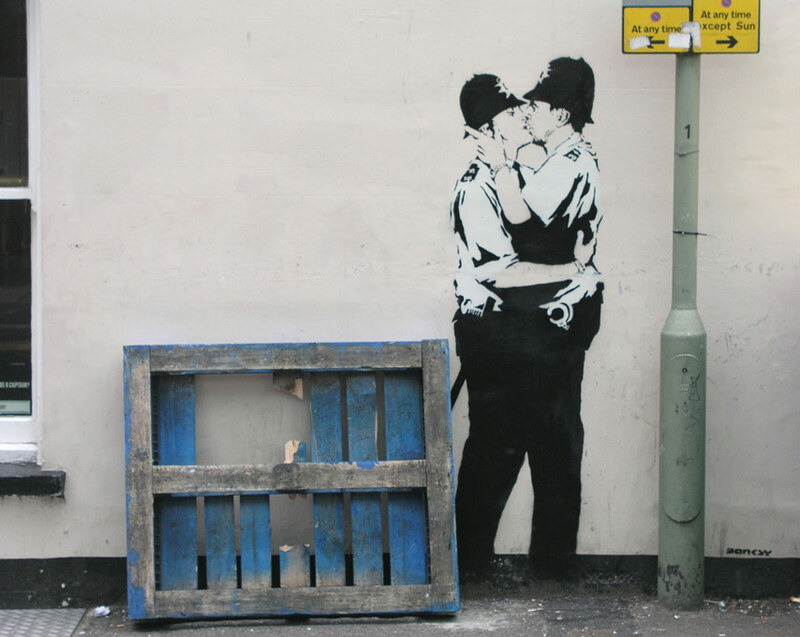 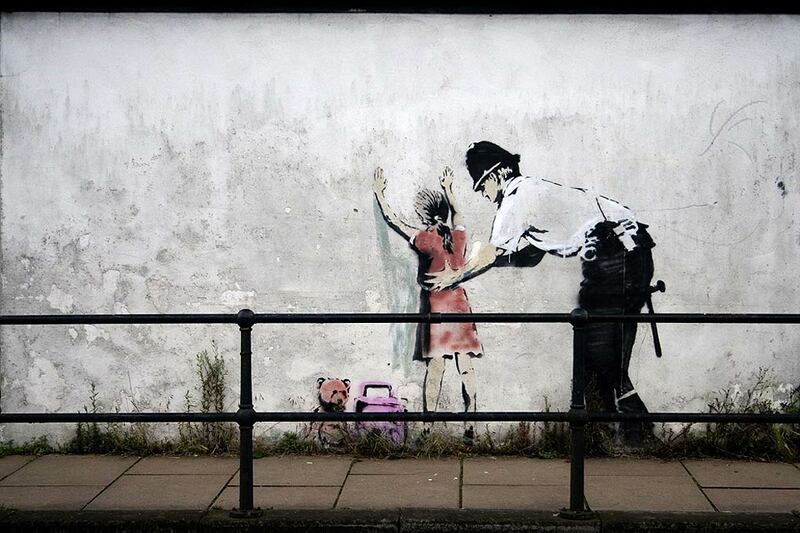 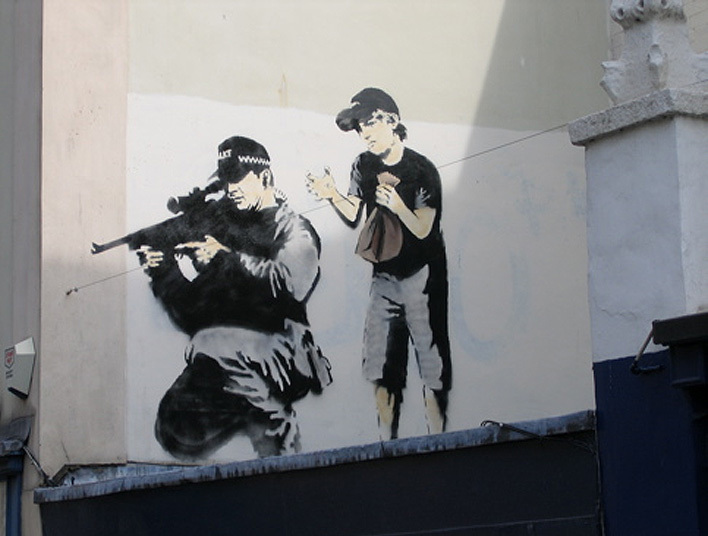 Banksy works in a very recognizable satirical manner. 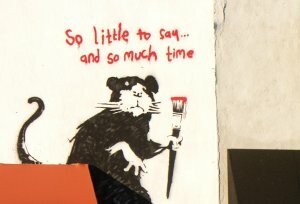 He writes (not paints) about things that worry him. 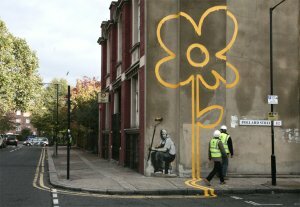 His works became first samples of street-art that were sold for tens of thousands of pounds, and that happened on Sotheby’s auction. 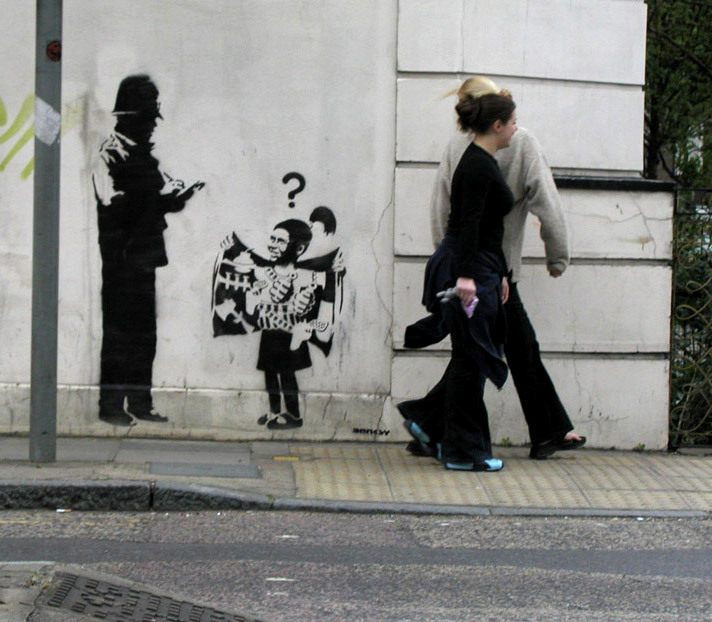 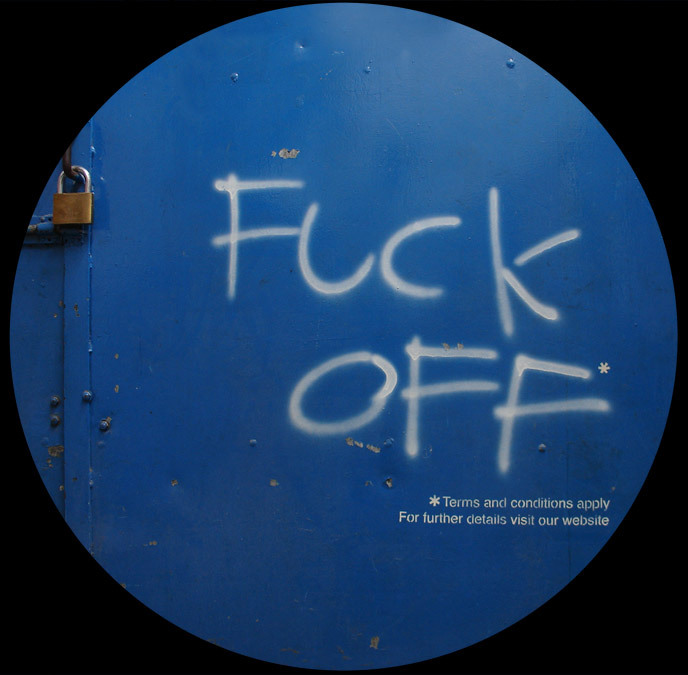 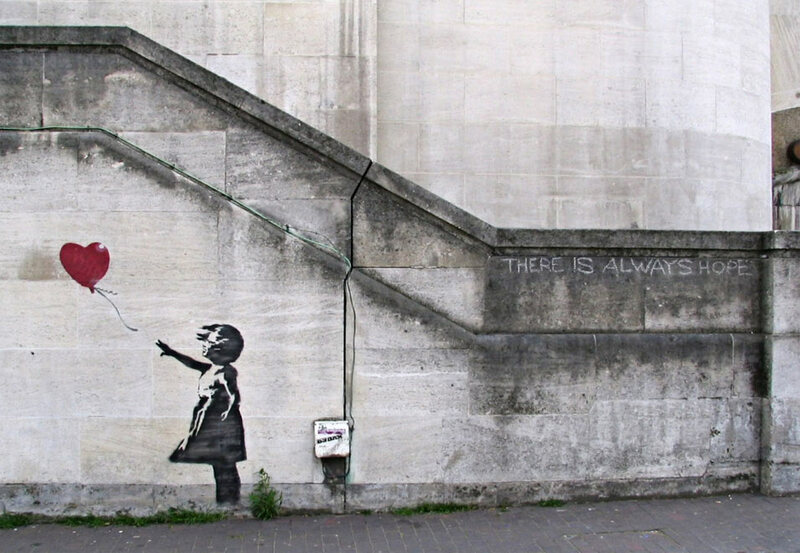 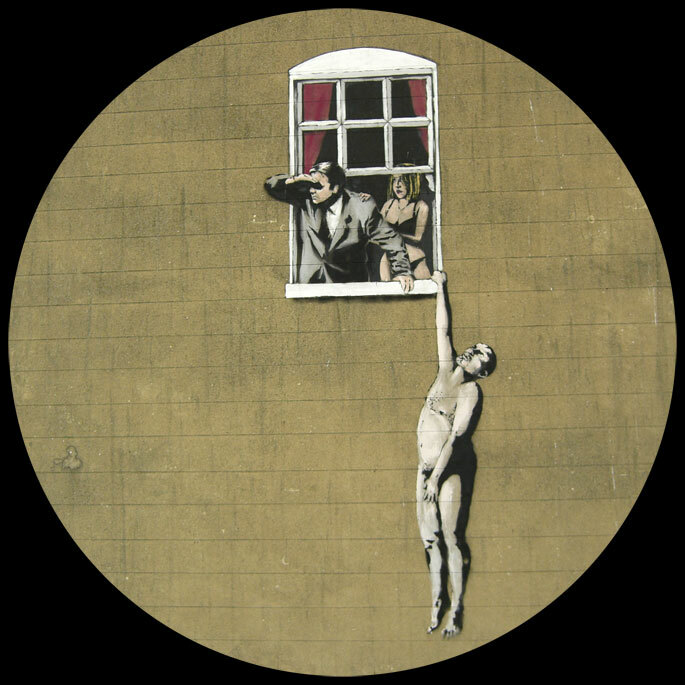 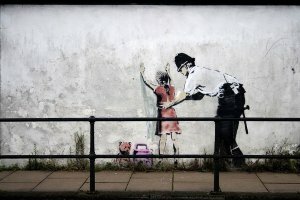 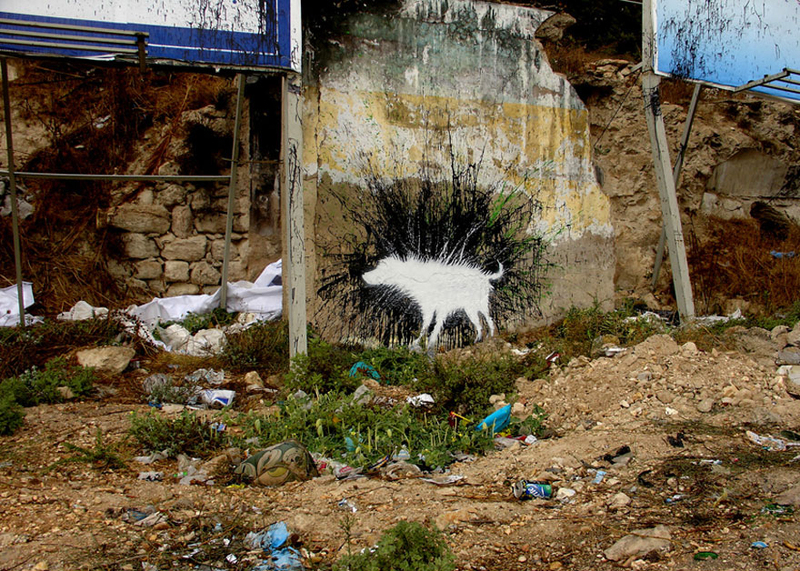 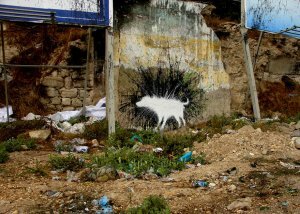 His graffiti can be seen in many countries, although he leaves most of his works on London walls. 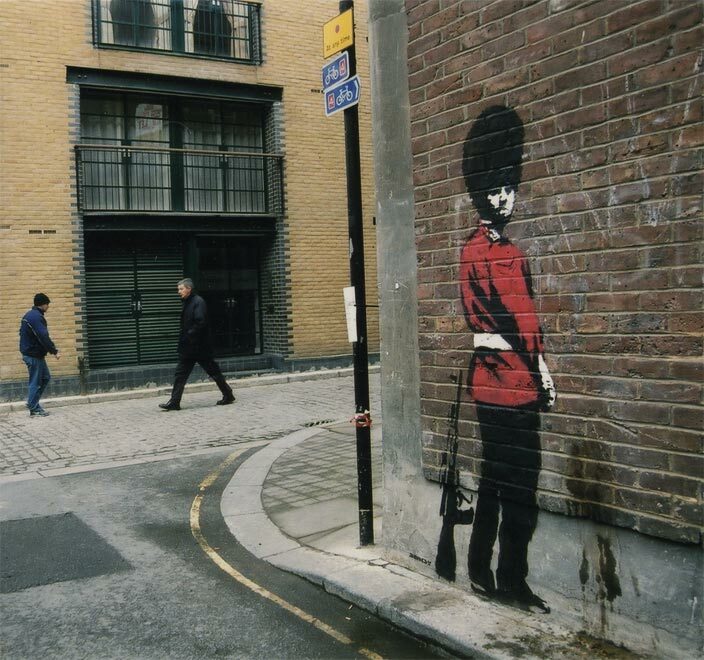 That’s probably why in 2007 he was acknowledged as the greatest among living British artists. Of course, he did not come to the award ceremony, because he hides for all these years and very seldom gives interviews.